Our newly renovated banquet room is the perfect space for your wedding or family celebration for up to 150 guests in our large banquet room. We can provide delicious food for your celebration. From a cocktail reception to a formal sit-down meal, we can create a menu to suit your tastes and budget. Special dietary needs can also be accommodated. Our professional wait and bar staff is on hand to serve your guests so that all you have to do is sit back and enjoy the day. 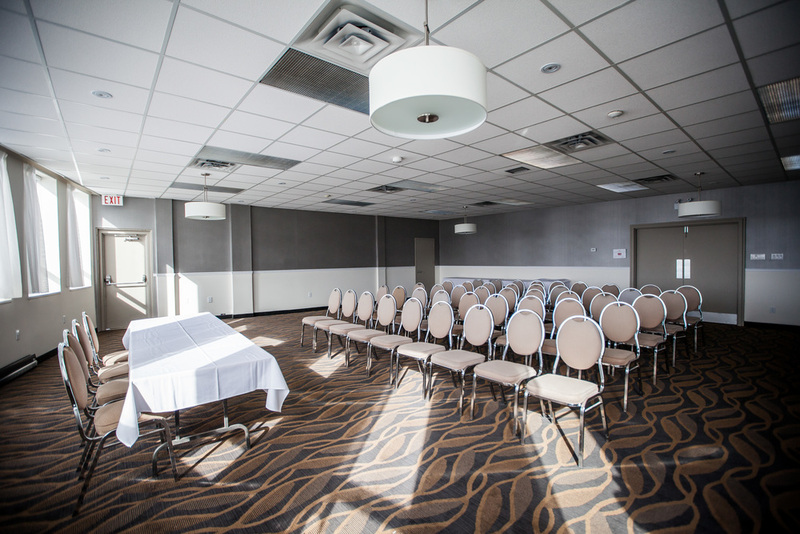 To arrange a tour of our brand new meeting/banquet rooms and hotel, please get in touch with our General Manager at debbie@qualityinncornerbrook.com or by phoning 709-639-8901.